Should I buy a used fixed paddle? 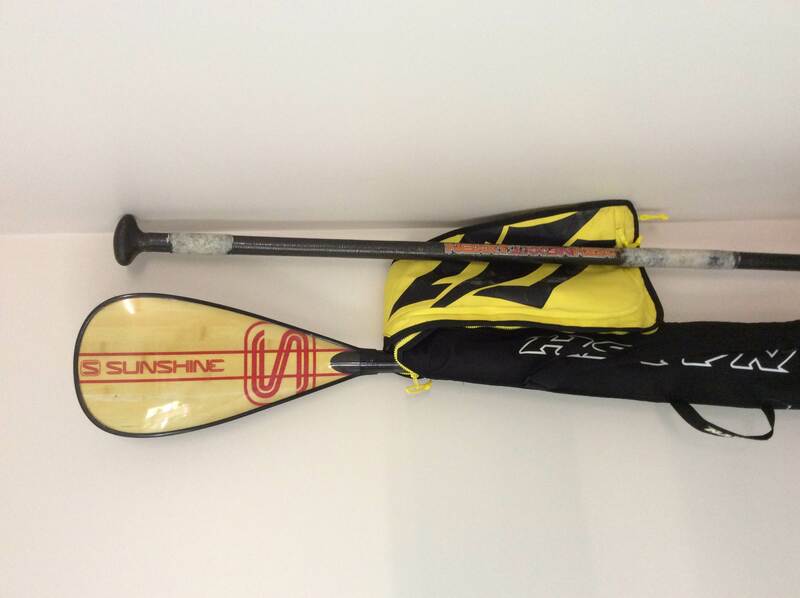 There's a used Starboard carbon paddle that I am considering. These costs more than I imagined as the only paddle I have ever used were cheap aluminium adjustable ones. My concern is that it is too long for me and would have already been glued (No idea what glue). Would I be able to unglue it and shorten it? How big is the risk? depends on what glue it has been glued with and how much you need to cut it down. If it has a permanent Glue and is way to long then just cut it of and get a new handle.